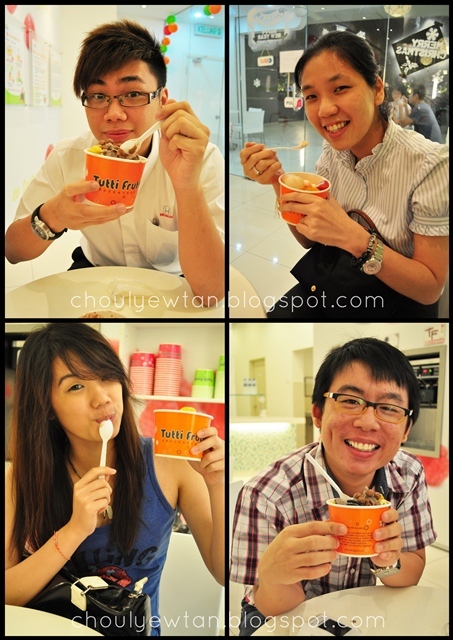 So last week I was invited by MyCoupon.com.my to try out the Tutti Frutti shop at Solari Dutamas which was newly opened. More Froyo, done by Jiayeen. Apple flavoured Froyo topped with various fruits. If I could give it a name, I would call it The Elton John. A dessert that doesn't make you feel like a slob after consuming it. Somebody told me Tutti Frutti not that nice. He didn't use the proper combination perhaps!